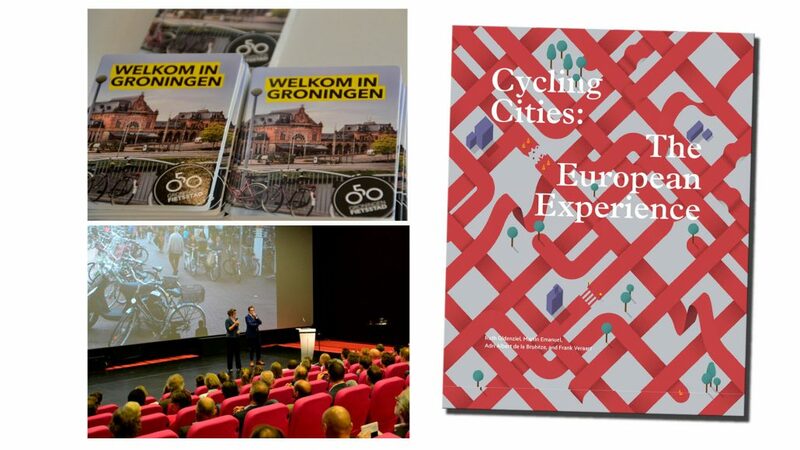 During the national cycling conference in the great city of Groningen, Maurits Lopes Cardozo designed the winning ‘bicycle concept’ 😉 and received an very interesting prize: the recently released book Cycling Cities: The European Experience. Thank you Rijkswaterstaat and Acquire Publishing for this nice gift! I recommend reading this book, it gives valuable insights in important factors for city cycling.